Earthcraft Mission Statement: To advance sustainable, affordable, resource and energy efficient construction through education and technical support. 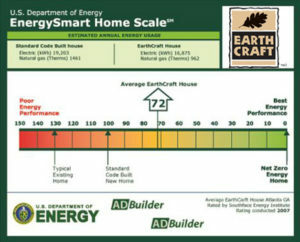 EarthCraft promotes diligent airsealing and energy efficiency. Airsealing of the building envelope and its mechanical systems, while still allowing for fresh air intake, provides a tighter building envelope at little additional cost. There is less communication of air and sound between units and better indoor air quality through the use of managed fresh-air intakes. Thus, projects are more energy efficient, less costly to occupy, and more durable overall. Touchstone Custom Homes is a proud Builder member of Earthcraft Virginia. Our current project in Vienna, VA is aiming for Earthcraft Gold certification and will be the first in the Vienna market. Developed in 1999 by the Greater Atlanta Home Builders Association and Southface, EarthCraft is the Southeast’s standard for green building, pairing building science with regional know-how. The result? Exquisitely designed and renovated homes, buildings and communities. Come explore our site, and learn about all that EarthCraft has to offer, whether you’re a building industry professional or a customer looking for a new home! EarthCraft House certifications are determined through a points-based worksheet, which allows builders to select the sustainability measures that are best suited for their project. Worksheet items address proper site planning, energy-efficient appliances and lighting, resource-efficient building materials, indoor air quality, water conservation and homebuyer education, and all are verified during site visits and inspections. 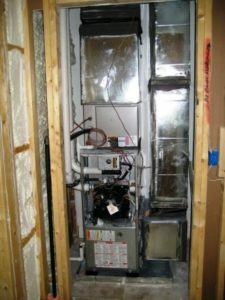 EarthCraft-certified homes must also pass diagnostic tests for air infiltration and duct leakage standards, and homes certified at the gold or platinum levels must meet ENERGY STAR requirements. EarthCraft Technical Advisors provide technical assistance to the builder during the initial design review and throughout project design and construction. EarthCraft serves as a blueprint for energy, water and resource-efficient single-family homes, multifamily structures, renovation projects, community developments and light-commercial buildings. To date, more than 13,000 EarthCraft homes, multifamily units and commercial buildings have been certified.